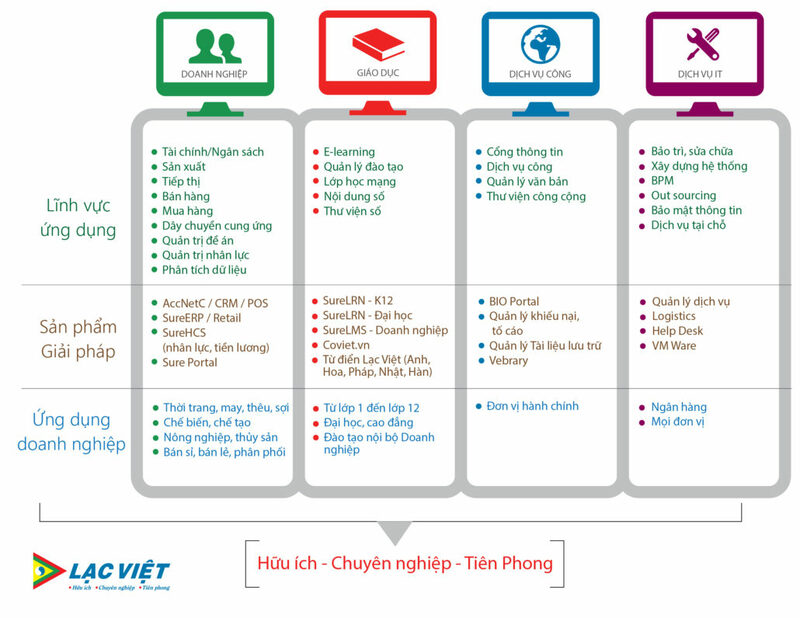 Established on February 3, 1994, Lac Viet Computing Corporation has become a leading provider of IT products and services in Vietnam in the following key areas: design and development of application software; system integration services; online services with cloud data centers; leasing and selling copyrights under the SaaS model; and system maintenance, BPM services. With a team of nearly 500 creative and enthusiastic staff, Lac Viet always pioneers to bring unique, useful and competitive products to customers. Over the past 20 years, Lac Viet has always carried out the mission to build useful information assets for everyone and every organization. Lac Viet’s innovative products and innovative technology solutions have been a useful companion for many users from students, university students to staff in enterprises, educational organizations, and public services. – Head Office: 23 Nguyen Thi Huynh, Ward 8. Phu Nhuan District, Ho Chi Minh City. – Hanoi Branch: 110 Thai Thinh Street, Dong Da District, Hanoi. – Da Nang Branch: 36 Ham Nghi, Thanh Khe District, Da Nang. The infrastructure of Lac Viet: The 10-storey smart building owned by Lac Viet has a total area of ​​3500m2 and is equipped with a 10GB-40GB backbone network bandwidth/1GB at each access point. Cloud data centers can support up to 2500 physical servers or clustered servers on HPC platforms. The 7 × 24 refrigeration system connects the main office and the DR site in Da Nang. 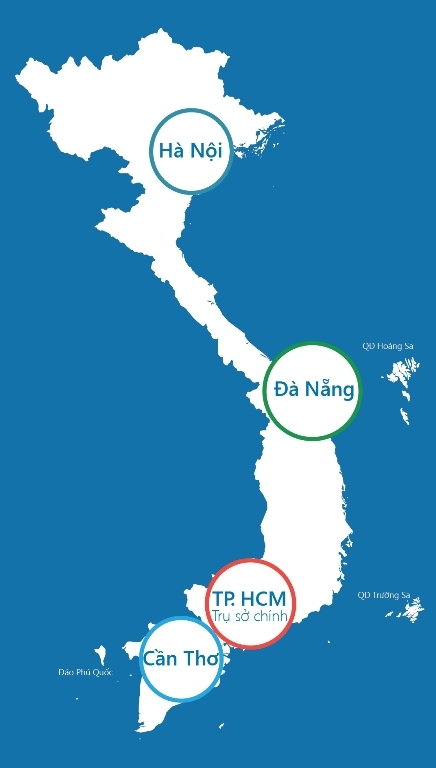 – Lac Viet is a Gold Partner of Microsoft in Vietnam with 15 years of experience in deploying more than 200 Microsoft-based solutions and more than 50 certified professionals at Lac Viet’s 4 solution centers in Ho Chi Minh City, Hanoi, Da Nang and Can Tho. 1. Reputable, understand the market with over 20 years of experience in providing IT solutions and services in Vietnam.